We can assist budding entrepreneurs with business formation (e.g., INC., LLC), business naming (DBA, TM), securing creations (patents and copyrights), finding the right location (real estate), dealing with the IRS (taxes), and general litigation (going to court). Lum Law Group delivers business-driven intellectual property counseling, IP portfolio management, and business counseling services that are tailored to meet each individual client's needs. At Lum Law Group we offer individual and corporate business clients access to full-service, business-driven intellectual property (IP) counseling in the ever-changing modern IP environment. We handle all aspects of domestic and international IP matters, such as trademarks, copyrights, patents, IP litigation, IP licensing and agreements, unfair competition, and IP counseling and audit services. Lum Law Group assist clients manage their intellectual property while providing practical solutions to securing their property and information both at home and all around the world. Lum Law Group Was Established To Assist Small And New Business Owners. At Lum Law Group we help our clients form and protect the businesses they've built from the ground up. Our attorneys are widely practiced in business and corporate law, with decades of experience in organization and formation, intellectual property, and other general business matters. What makes Lum Law Group different is that our attorneys are sensitive to the challenges entrepreneurs face as they establish their businesses. That's why our Intellectual Property Law Firm offers strategic counseling on organization and formation, including: The formation of corporations, partnerships, sole proprietorships, and limited liability corporations (LLC) Purchase and sale of businesses Business acquisitions Contract review Business litigation and disputes and more! Our philosophy is to always advise and work to do the best for the client. What the client wants matters most, but we will always try to advise to answer and assist with the client's concerns while at the same time keeping in mind the costs the client will have to undertake. We believe strongly in our ability and we work hard for our client. The unique combination of business representation, immigration and intellectual property has allowed the firm to adjust its practice as the economy has matured to the point where intellectual property matters within a business context, and where such innovation affects the workings and dealings of those businesses. LLG has been able to adapt with the adapting economy. That is where the experience counts, with over 70 years combined experience in immigration and business law, and over 20 years combined experience in intellectual property matters. Albert and Justin are graduates from USC and UC Davis King Hall School of Law. Albert did his undergraduate studies and Tulane University, while Justin attended UC Berkeley ("Cal"). All four schools are dedicated to providing the best possible education and preparation fo their students. As American born Chinese, LLG provides a bridge for those clients who need an American trained attorney who can understand their needs based on their culture, but are truly American in how they approach the legal issues presented to their clients in a way the clients may not always completely understand. This "bridge" is what truly sets LLG apart from many other firms. The primary areas of practice for the firm now are Business Representation, Immigration, and Intellectual Property (patents, trademarks, copyrights, trade secrets) [in alphabetical order]. The firm originally started with Albert C. Lum. 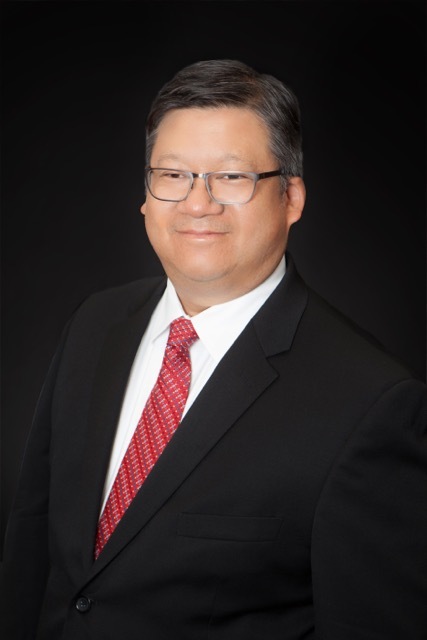 The firm name later changed to Lum Law Group after A. Justin Lum joined with Albert C. Lum in 2011. Prior to practicing law, Albert C. Lum was an IRS agent. Therefore, from the beginning Albert Lum focused on assisting business with their business needs. Employment issues, drafting contracts, corporate representation, business litigation issues. At one point he represented all the restaurants in Chinatown in downtown Los Angeles. From that business practice, he branched into immigration. For example, many of the restaurants needed authentic Chinese chefs. He therefore started to apply for worker status, or permanent resident status for many cooks for his restaurant clients. When A. Justin Lum, his son, joined the practice, he brought with him a science background. The firm started doing trademark registration cases first, and later, after Justin Lum passed the U.S. Patent Bar, moved into litigation in all areas, and copyright registration, and patent prosecution through his association with the patent group, David and Raymond. A. Justin Lum, a fourth generation Chinese American, has practiced law for over 20 years since obtaining his J.D. in 1992. At first, he worked with his father, Albert C. Lum, until 1997 when he started his own practice. In 2011, he rejoined his father to form Lum Law Group, and father and son have been partners ever since. A. Justin Lum passed the United States Patent and Trademark Bar in 1998 (#41,957). 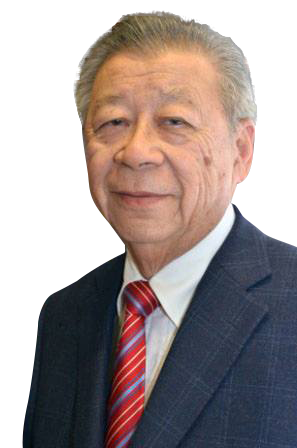 Albert C. Lum has been in the business of helping small and new businesses since 1964, when he first opened his law practice in the heart of Chinatown. His law career began with supporting and assisting Chinese restaurant owners who were not familiar with US law and struggled to find common ground with the attorneys available to them. As a third generation Chinese American, Albert C. Lum felt compelled to help his community.